SoundHound, the music identification service for mobiles, has lined up a series of upgrades into a new app. 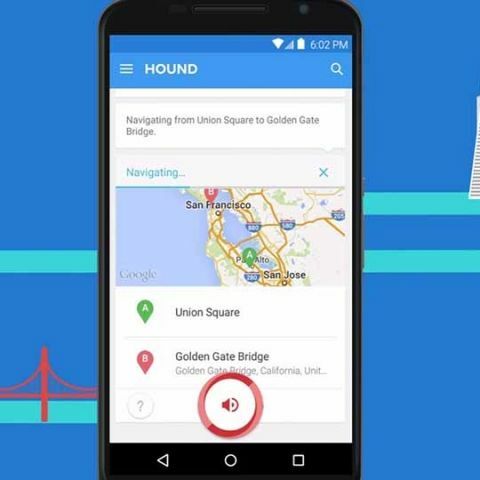 Named ‘Hound’, the voice interface delves much deeper than Siri and Google Now to provide personal assistance, hands-free services and research support. Designed to efficiently work out complex voice commands, founder Keyvan Mohajer recently unveiled the app and demonstrated its power by running it through a number of complex commands - each with increasing complexity as he went on, and the robotic voice of the app responded at an unbelievable speed. One of the questions in the demonstration was “How many days are there between the day after tomorrow and three days before the second Thursday of November in 2022?” The response was spot-on, and in almost no time. The speed of the new service, still in the Beta stage for Android and yet to be launched for iOS, is attributed to fusing the voice recognition and understanding processors into one and simultaneously collecting, searching and processing queries. With the new service, SoundHound aims to incorporate the service into multiple platforms, including everyday appliances such as coffee makers and microwaves. The new app does continue with its music identification service too, and SoundHound can be accessed within Hound. While the speed and efficiency of the service is yet to be tested under noisier outdoor conditions, Hound promises to be the best voice assistance service for the future. As of now, SoundHound is working at collaborating with more service providers, to provide users with a complete all-search solution.